In my NordVPN review, I will explain why I think it's one of the best and how you can use this service. 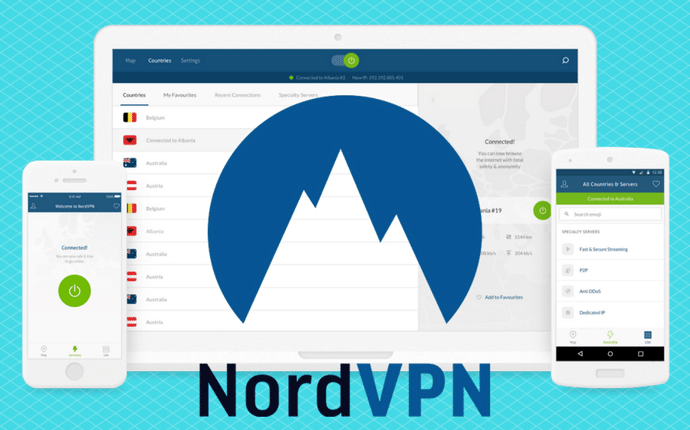 NordVPN is very popular and often appears within the 10 best VPN services. It seems easy to install, fast, secure and reasonably priced. Now I have the pleasure of using it myself - some new features have been added recently. I'd like to share my experience and thoughts with you. NordVPN has been in operation since 2012, the number of servers is 3,500+ over 61 countries as of March 2018 and it's still growing. P2P allowed, double-encryption at no extra charge, and one account can connect up to 6 devices at the same time. NordVPN is operated in Panama, outside the "Fourteen Eyes Countries" means outside the intelligence's surveillance, so your privacy is guaranteed. The price starts from $2.99 per month (3-year deal) with 30-days money back guarantee. I'm a Mac and iPhone user. 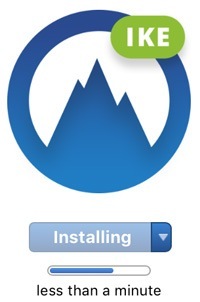 On both devices, installing NordVPN was just as easy as installing any other apps. Click "Download" in the NordVPN website and it would automatically open App Store. It's ready to download for free. Alternatively, you can search to find "Nord" in your App store and click "Get" (download it for free) - that's how I did with my iPhone. Enter your email address and password (that you would have set when you created your account), and it's ready to connect to any desired server. Your account will always be active in the app so you don't have to log in each time. But if you're worried about the security, you can simply log out after use. NordVPN uses AES (Advanced Encryption Standard) with 256 bit-keys. IKEv2/IPsec protocol as a default in the NordVPN apps for iOS and macOS. Open VPN is used by default for Windows, also macOS, and Android - uses AES-256-CBC with a 2048-bit DH key. Blocks dangerous websites: your access to sites known for hosting malware, trackers, spyware and other malicious software will automatically be blocked. Secured from participating in DDoS (distributed denial-of-service) attacks even if it is already infected with malware. Hides advertising materials such as unwanated popups, autoplay video ads the moment you enter a website. Mixed connection between UDP and TCP. You can choose from several Double VPN combinations, including Canada-US, Netherlands-Russia, Sweden-Netherlands, UK-France, UK-Netherlands, and Taiwan-Hong Kong. NordVPN strictly keeps no logs of IP address, servers you've used, websites visited or files downloaded, time or duration of any online session. Nord is not able to provide any details about your behaviour online, even if you requested yourself. Based away from the US and EU jurisdiction and is not required to collect your personal data and information, i.e. nothing's recorded, monitored, stored, or passed to third parties. In addition to the conventional payment methods (e.g. credit cards, PayPal), Nord offers other alternative payment options, including Bitcoins. Windows and macOS versions allow to specify which applications should be shut down if the VPN connection drops out. That prevents the applications from sending unprotected traffic to the web. In the near future, Nord will be able to terminate the Internet connection on the system level instead of shutting down the apps. Android and iOS versions disable the system-wide Internet access in case the VPN connection suddenly disconnects in order to protect all active apps without terminating them. Onion over VPN first goes through one of Nord servers, then goes through the Onion network before it reaches the Internet. With NordVPN's Onion over VPN servers you are not required to download the Onion browser, nor any additional applications. All you need to do is connect to the Onion over VPN server so all your Internet traffic will be routed through the Onion network. 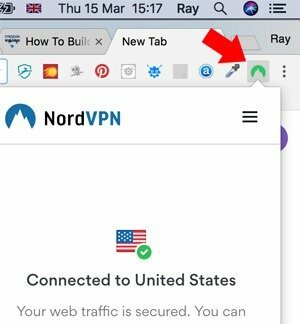 As well as Nord's VPN software, you can simply use Chrome or Firefox browser extensions (currently desktop only, not on mobile device). The proxy extension is very light and fast; you can jump back and forth between different locations in seconds, though it does not allow you to choose a particular server within a selected country. I'm fairly a light VPN user myself and actually prefer to use an extension because it's quick and easy. Below is a list of available countries where servers are located, and the number of servers in each bracket - as of March 2018. Obviously the number is growing continuously. I have seen a couple of users elsewhere complaining about the slow speed. But recently NordVPN has improved the speed along with new feature upgrades such as CyberSec Technology and the increase of the server locations. The speed depends how many users are connected to the same server at a time. I've tried almost all the countries myself and have actually never experienced any inconveniences. I particularly try US servers at different times throughout the day, and actually find the connection incredibly fast. 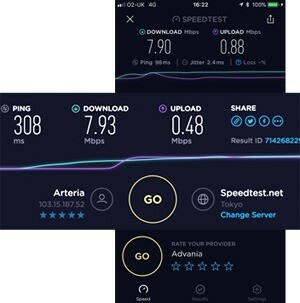 As far as the speed is concerned, I can watch Netflix, YouTube and other streaming videos with no or very little buffering, both on my Mac with home wifi and iPhone with 4G connection. All the price plans include 30-days money back guarantee. NordVPN advises me that the most popular plan among the users is 3-year plan, which is a super-competitive price. Since Nord has been pretty reputable for the past few years, I would recommend 2-year plan. Though we'll never know what better service providers might or might not appear in the next 2 years.